The operation can’t be completed because the item is in use error message whenever you want to empty your Mac’s trash. Is there a quick fix with this error message? In my case yes. It’s worth to try, one of them may help you too. I am using Mac OS Yosemite, and I think it will still work with your OS too. You can leave comment if you like and use other OS. Let us know what OS you have and whether that method works. See also a method how we can retrieve our unsaved text files. Of course we want to have a quick fix. If you are a non-techie user like me, you may want to try non-technical ways too if there are any. So try these following easy methods first to fix the error before you search more technical possible fixes. Quit Application the error message mentions. If the error message mentioned, “Finder” Just close all of your Finder Windows – This applies for “Finder” only! So for my example, my error message was after I used Keychain Access app. In your case, it can be a picture or any files. If you want to find where your Mac account picture icon, see this tutorial. Then the The operation can’t be completed because the item is in use error message appeared. I re-checked again whether I’ve quitted the “Keychain Access” or not. So sometimes this will fix your problem. 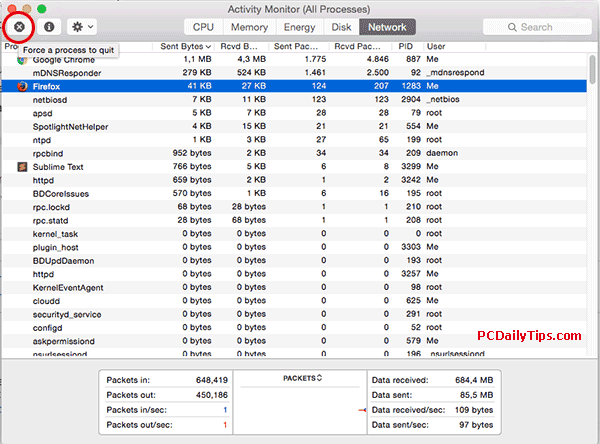 If you want, you can also check your Activity Monitor to see if the associated app is still running in the background. Apple website wrote the how to quit a process of an app on their website. Sometimes, the solution is just simple. Try to rename your file in your trash, and try to delete the file or empty your trash again. 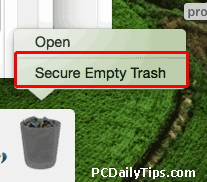 When you press your command key (CMD), hold it, and while holding it, right click your trash, you will see “Secure Empty Trash” option, select that, and click it. Most of the time it will work. Don’t forget to read my other tutorial how to show your Library user folder with similar keyboard shortcuts. I have this “The operation can’t be completed because the item is in use” problems many many times, and while one of above method worked, this time, it did not. It depends on the application you used previously, because mine was the Keychain Access app, the fix was simply to restart my computer and it worked. It depends on the version of OS you have, in El Capitan, you can have the option to select the item you want to delete, then right click, and you will have the “Delete Immediately” Option. The operation can’t be completed When Copying From A Drive Vice Versa? There is also The operation can t be completed because the item is in use error when copying. So you want to copy file(s) from or to another HDD like an external USB Hard drive. And your trash is actually empty. Rename the file and repeat the task. Safely disconnect your external HDD then restart your mac, then repeat. If this above method does not work for you read John’s post using the terminal. → Next: Ampps ionCube Loader Fatal error: The file /Applications/AMPPS/..